Icelandic nature at its best! We ride in small groups and focus on personal service. 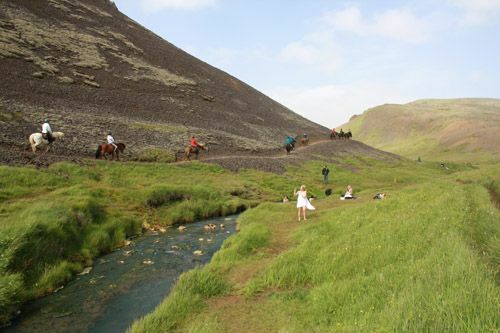 Experience the variety of nature in South Iceland. I booked the tour to the hot springs and got picked up and my hostel in Reykjavik. When I arrived at hostel I met my guide for the day – Birte. They picked out a horse for me based on my experience, I got Glem. Personally I think they picked out the perfect horse for me. I got rainclothes and everything and off we went! Since I was the only guest for that tour that day me and Birte went up there all alone. She was super nice, funny and we got along very well! I can only recommend Birte to ANYONE. I went bathing in the Hot Springs and we ate some lunch, which was packed for us. The way back went through some nice landscape, it was a nice adventure! Birte fullfilled all my wishes like a magical genie, she’s the best! When we got back we got some nice warm soup and bread and then I got dropped of at the cruise terminal, where I joined a cruise ship. 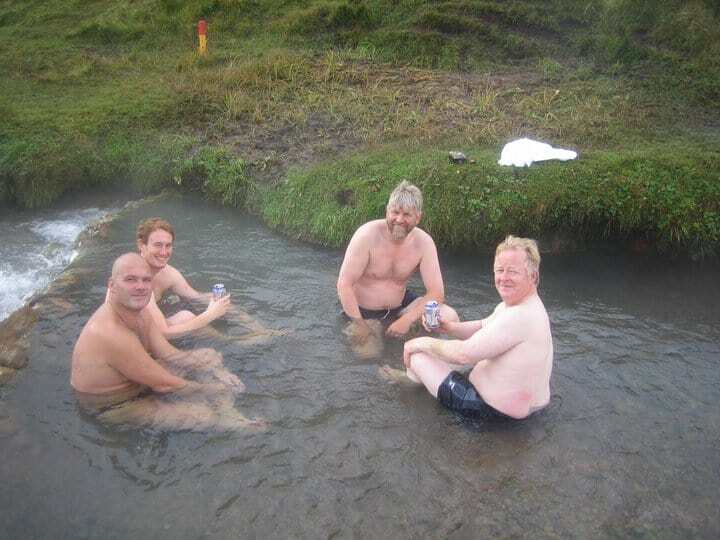 We did the Hot Spring Tour. It was a wonderful tour with lovely horses, nice people, beautiful views and perfect weather. It was a small group which was perfect. We definitely recommend the tour and Solhestar!! 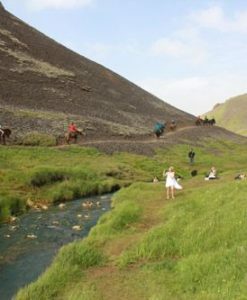 The perfect place when you want to enjoy Icelandic horses and meet very friendly people who love what they do! Greetings from Anne and Katherin from Germany! We will come back on our next Iceland trip! 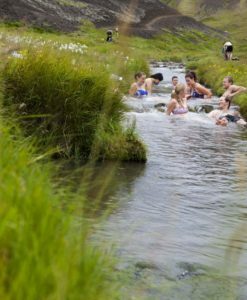 We took the Hot springs tour – such a great day! Lots of great tölt. Im an expreienced rider and got exactly the horse i wanted, a happy horse named Kvistur who was the fastest of them all. Everyone had a great day even the guys who had the first ride of their lives. A small family-run company who afterwards invited us for soup in their home. HIGHLY Recommended! Only dissappointment was we got picked up after we got down from the mountain with the springs, i thougt we were going to ride all the way back aswell. Other than that – fantastic! 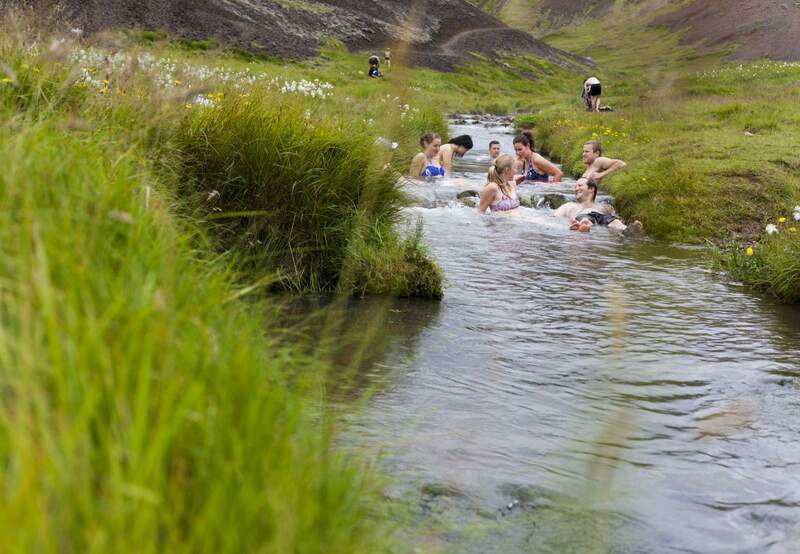 We booked the Reykdalur hot springs ride and got super lucky with a sunny day in late September. Horses were solid and reliable, even for beginner riders. The only thing that could have been improved was communication before the ride about what it entailed, what to bring, etc. Solhestar provides a small lunch and some cold weather gear, and the ride took about 6 hours all told, up to the hot springs, back down, and cross-country back to the ranch. They offer a cozy homemade soup lunch afterward also.